Crafted in durable brushed titanium, this handsome men's ring features a stylish double groove design, giving a contemporary edge to his look. A titanium ring designed with him in mind. 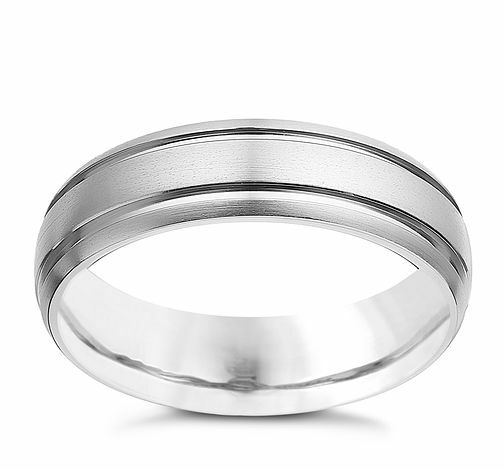 Titanium men's double groove ring is rated 4.5 out of 5 by 4. Rated 5 out of 5 by Anonymous from Beautiful ring Service was impeccable! Ordered tea time, was dispatched that night and with me by the next morning! Great quality ring, fab price and ok Black Friday sale an even better bargain!